1301PE is pleased to announce a one-person exhibition of Angela Bulloch. The exhibition will present new sculptures. 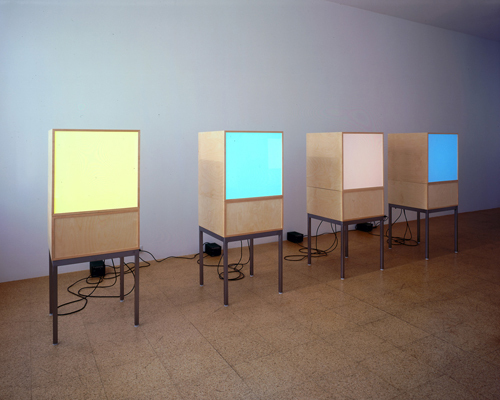 For some years now, Angela Bulloch has been attracting attention with large-scale installations, intensively examining questions of difference and movement in seemingly fixed, often binary systems. Bulloch has made a name for herself in Europe following the now famous "Freeze" exhibition in London in 1988. 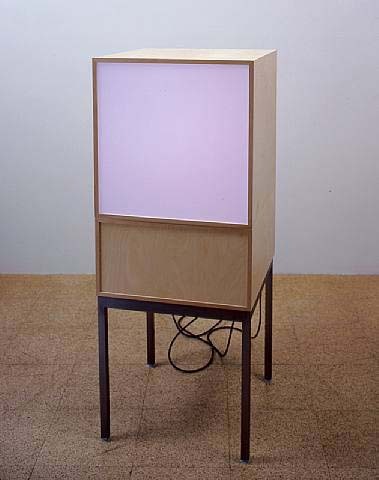 A series of major one-person exhibitions in Hamburg (1994), Dijon (1997) and Zurich (1998) followed. In the United States, she has made two breakthrough exhibitions in Los Angeles. Rules and 1301PE presents Angela Bulloch at Marc Foxx where she exhibited Bataville (1994) a giant drawing machine that is controlled by external influences. In her recent exhibitions at Magnani, London; Kunsthaus Glarus, Glarus; BLOW_UP T.V., Schipper & Krome, Berlin, Bulloch translated the analogue to the digital, by reducing a series of frames of such movie as The Matrix and Blow Up to a single digital pixel. 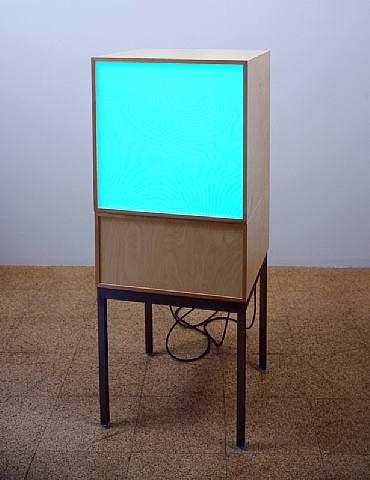 The resulting sculpture is able to emit 256 colors, as the abstracted image becomes a new type of television. Angela Bulloch was born in 1966 in Ontario, Canada and studied at Goldsmiths College, University of London. She lives and works in London and Berlin.